Ash wrote: As has happened with at least one other student block, Watkin Jones have applied for temporary permission to house non-students for the first year of operation. The reason given is as follows. that students prefer to see the accommodation before agreeing a tenancy. In this instance, there is a risk that the accommodation may not be fully occupied, particularly when students can start to book accommodation from May 2018. All of which may well be true - but it does suggest that there isn't a huge unmet demand out there for this form of student accomodation. Besides which, this isn't a case of the build timetable slipping. It was always intended to be completed in August. 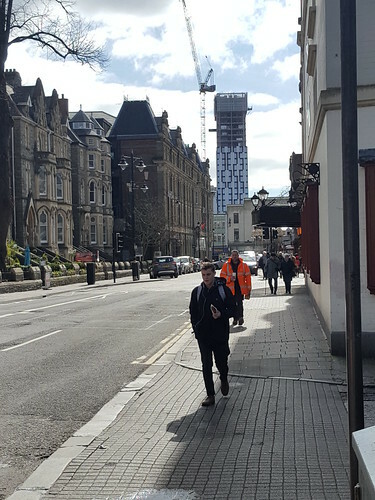 I haven't read anywhere about Howells Solicitors moving from Hallinans House yet, so I guess if that hit the media it would be an indication of maybe those lovely towers actually being built. I haven't read anything about it since last autumn when it was approved. I hadn't taken in the fact that it's Howells themselves working on it, so maybe they haven't found a student housing operator to take it on yet. Topping Out ceremony for this taking place on Wednesday 25th April. I think in the inial drawings these were shown as being internally gutted, with mezzanines and high ceilings for the A3 use. Restaurant A3 demand has fallen off a cliff in the last 18 months or so though - and I think that explains these changes. Is AlwaysBeBlue still saying these two new student towers are only going to be 60 meters? Internet poster admits he may have been wrong! Tower Crane coming down today at Bridge St! and a fine job it's done on this tower! now Cardiff's tallest and in my opinion a great asset to our skyline - just gutted it's taller brother is in no mans land!? 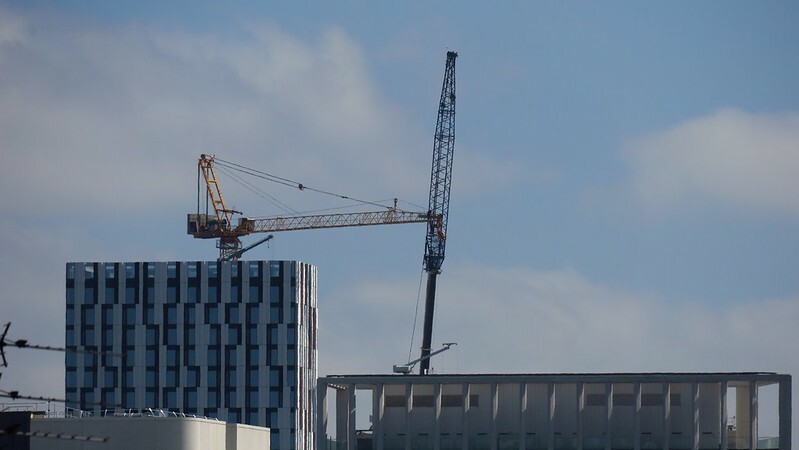 Q: So where will the next significant tower crane pop up?...... Park Place - Transport Exchange Central Sq - Customhouse St - Curran Road - John St Call Sq. ??? ?